This monkey costumes are as much FUN as a barrel of MONKEYS !! 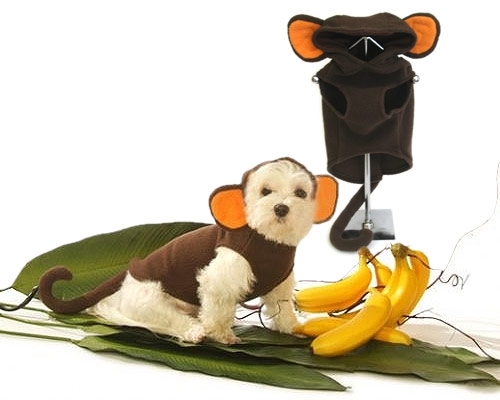 This adorable Hooded Monkey Dog Costume with it's BIG ears and CURLED tail, will be a winner at any Halloween Party. Made from SOFT lite weight FLEECE.